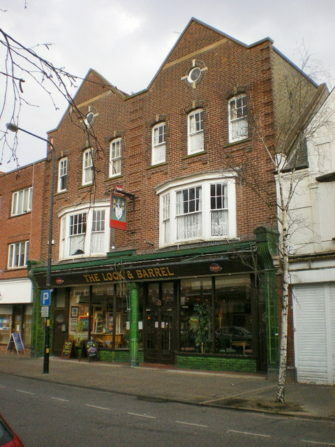 The only pub in Frinton, The Lock and Barrel. Frinton has a strong community spirit, which is something that is missing from many places these days. There is a fabulous beach and many fantastic and distinctive houses to the west of Connaught Avenue, which itself is sometimes referred to as the ‘Bond Street of East Anglia’. It is famous for only recently allowing a pub to open up, The Lock and Barrel, in 2000. So I took the opportunity to record the interior, whilst sampling a half of local ale. Image by Alexander P Knapp and used under a Creative Commons (Attribution-ShareAlike) licence.